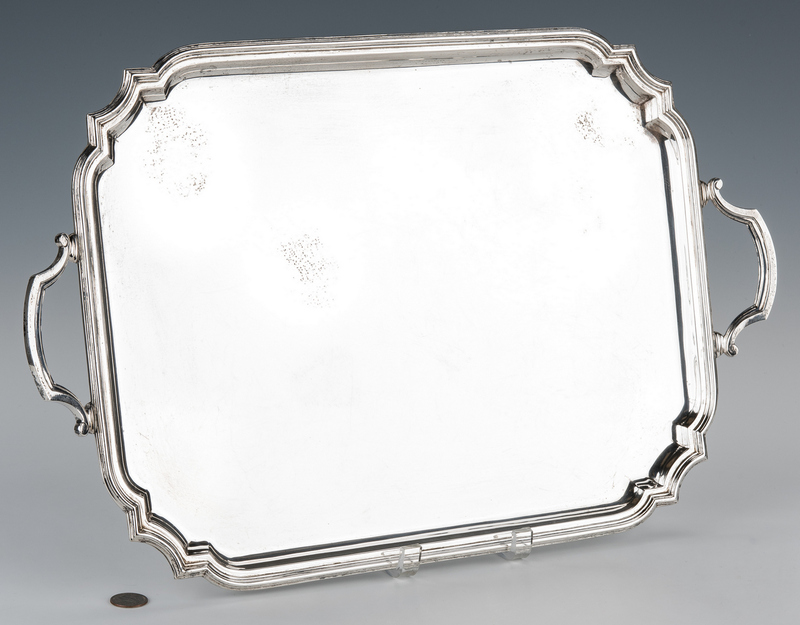 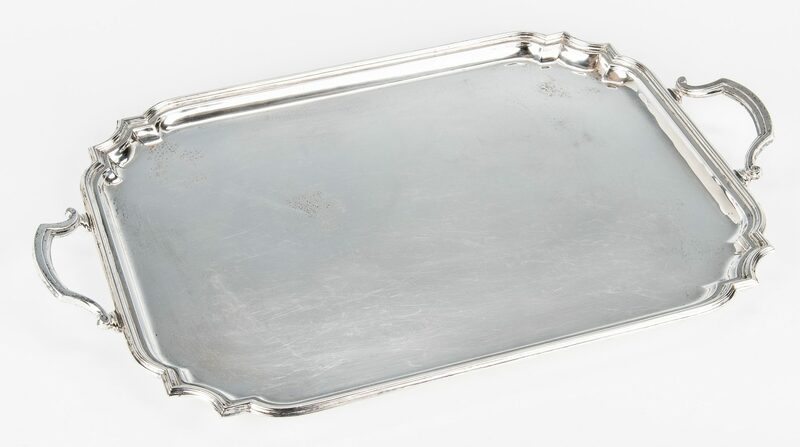 Industria Argentina sterling silver serving tray, rectangular form with shaped edge and handles, raised on ball feet. 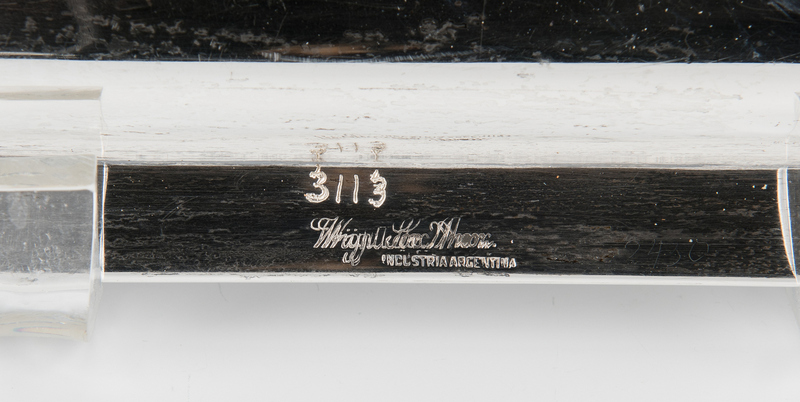 Marked on the underside edges "Industria Argentina/Sterling Silver/.925". 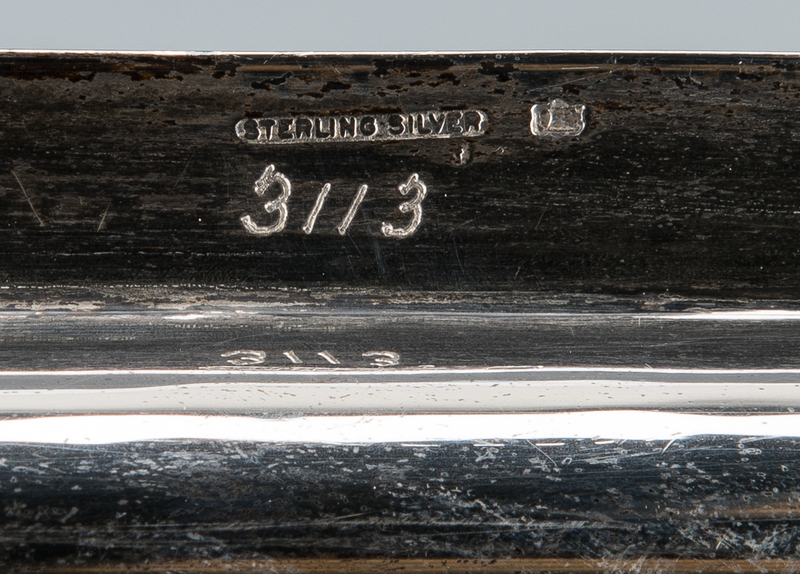 14 1/8" H x 21 7/8" W. 77.910 troy ounces. 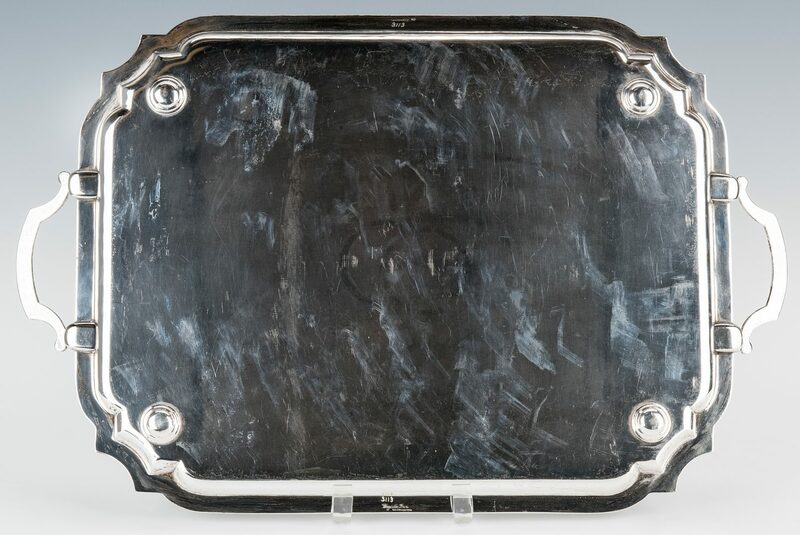 CONDITION: Light surface scratching to center of tray, some areas of pitting and wear.